Plaque Progression: Slow Linear or Rapid Stepwise? Ik-Kyung Jang, MD, PHD, is with the Cardiology Division at Massachusetts General Hospital and Harvard Medical School. 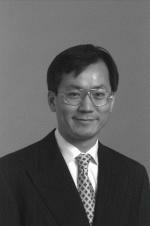 Dr. Jang came to Massachusetts General Hospital in 1987 from Leuven University in Belgium, where he has completed his residency in medicine and fellowship in cardiology. He also successfully defended his doctorate thesis at the same university. After his advanced fellowship in cardiology at MGH, he joined the staff and is currently working as a Physician and an interventional cardiologist in the Cardiology Division. He holds currently an academic title of Associate Professor of Medicine at Harvard Medical School. A recipient of the Partners in Excellence Award for Research in 2000 and for leadership in 2006, his research roster is extensive, and is focused on acute coronary syndromes including acute myocardial infarction. His earlier research focused on pharmacology and physiology of thrombosis and thrombolysis. In 1994 he extended his interests to clinical studies. Since founding the Coronary Clinical Trial Group within the Cardiac Unit in 1995, he has conducted numerous clinical studies. He also led Clinical Research Office of the Cardiology Division between 2003 and 2006. He is currently the Director of the Cardiology Laboratory for Integrative Physiology and Imaging (CLIPI). He has been collaborating with the Cardiac Imaging Group at MGH to develop and evaluate different imaging modalities to visualize cardiac structures, including coronary atheromatous plaques. For the last eleven years he has pioneered the application of intravascular Optical Coherence Tomography (OCT) to patients to better characterize vulnerable plaque and to understand the mechanisms of plaque rupture. Dr. Jang has been invited to lectures at numerous national and international meetings. His publications number more than 200. The C7-XR Imaging System represents a significant step forward for intracoronary imaging...We were all amazed with the speed and simplicity of the LightLab OCT procedure, and the clinical utility is truly unique. I expect OCT to rapidly become the new intracoronary imaging standard. In 2009, more than 10,000 OCT cases were performed. This collaborative effort will bring together this wealth of information and help us facilitate scientific advancement in the field of OCT.